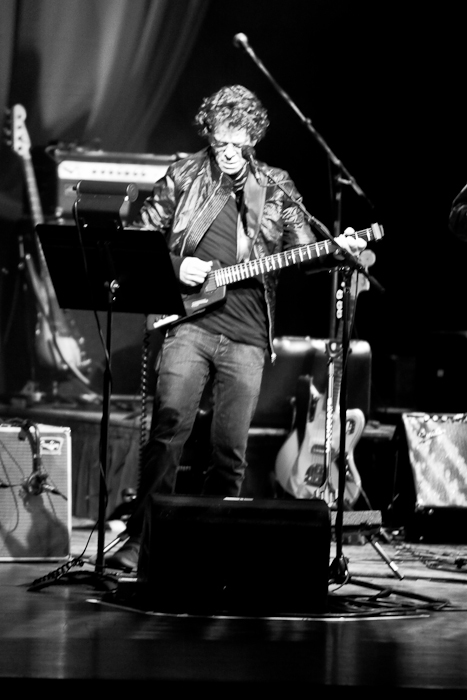 Here's a tribute to the late, great Lou Reed at the 2013 Bridge School Benefit Concert by Neil Young & Friends. The loss of the hugely influential Lou Reed came just a day before the annual Bridge concerts, so there was great anticipation about not if -- but who - would step forward to pay homage to Mr. Street Hassle himself. The tribute task fell to My Morning Jacket's Jim James, who covered the Velvet Underground’s “Oh! Sweet Nuthin’” along with Neil Young, Elvis Costello, Jenny Lewis, and more. Also, check the great save by the strings when the strap comes off of Neil's guitar towards the end. On February 18, 2010, Lou Reed paid tribute to Neil Young at a concert for the Vancouver Olympics Tribute. Coming on stage in leather, Reed played a heavy electric rap version of “Helpless”. So Lou, how's that dirty boulevard these days? A little cleaner hopefully. One of the highlights from last year's BSB...RIP, Lou. couple of years ago I was doing a job on court st in brooklyn and walked passed this smallish bookstore that had a chalk board sign out front. "Lou Reed to read select passages from THE RAVEN, tonight". I've always regretted not hanging around for what I know what would've been an intimate & special night. Thanks for posting, Thrasher. I got that spine tingling feeling hearing this again and remembering how it felt that day. Well I guess Reed wrote the song but Doug Yule was the singer so it seems like a weird tribute for Lou.